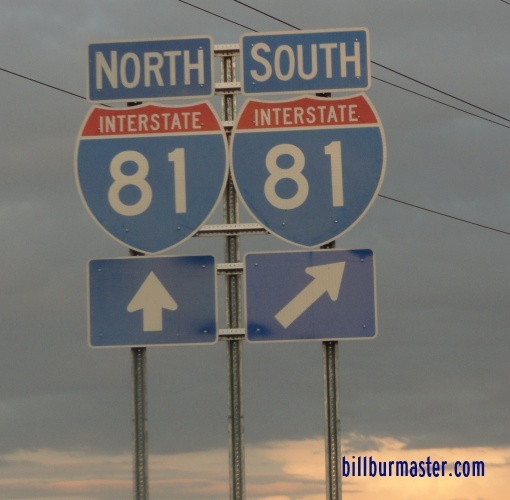 Interstate 81 is a north-south highway in Central New York. 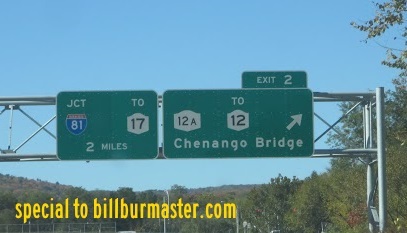 It runs from the New York/Pennsylvania State Line, near Kirkwood, to the United States of America/Canada Border, near Thousand Islands. 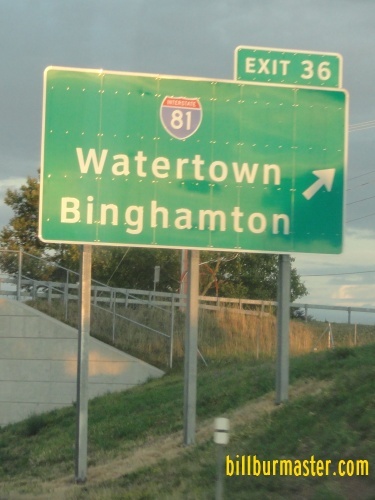 It connects Binghamton to Syracuse, and Watertown. 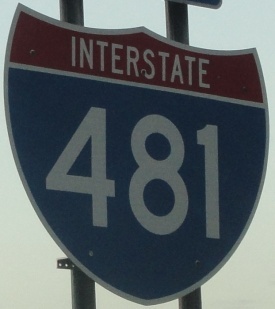 While in New York, I-81 is not multi-plexed. 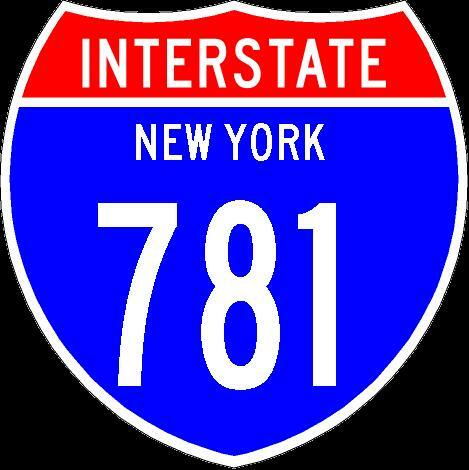 In New York, Interstate 81 crosses the following interstates. 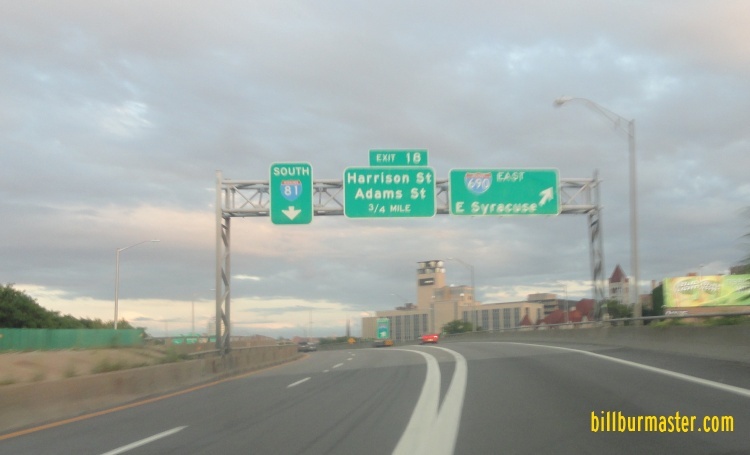 Interstate 90, (New York State Thruway) at Syracuse. 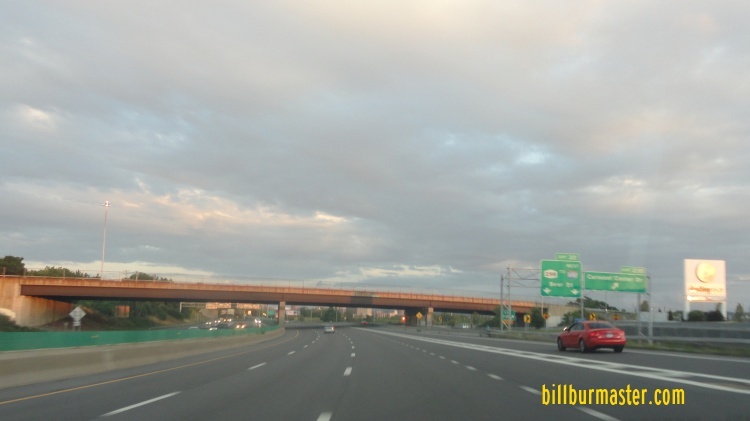 Interstate 481, near North Syracuse. 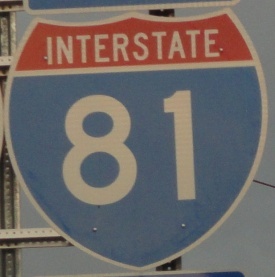 Branches of I-81 in New York. 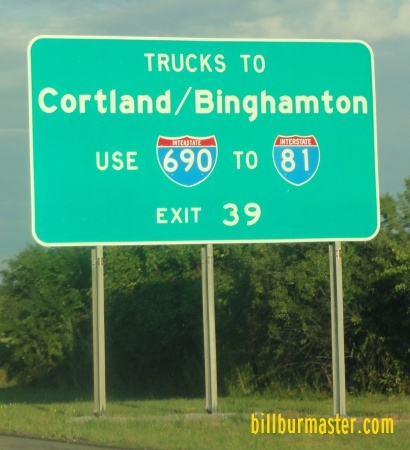 A set of BGS's on the ramp from I-90/Thruway. 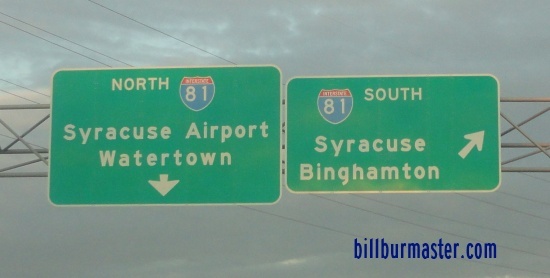 A set of guide markers on the ramp from I-90/Thruway. 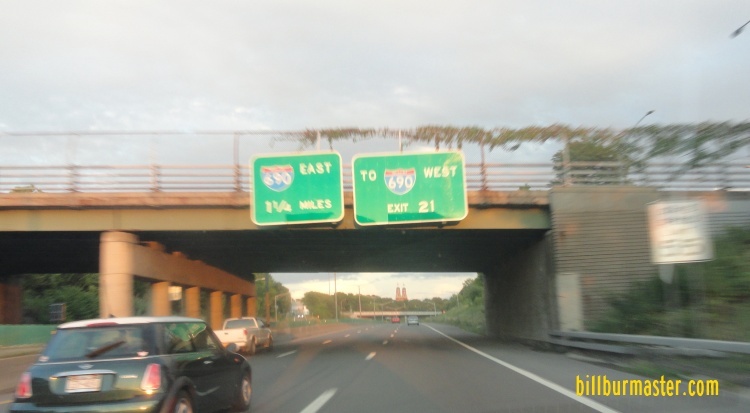 SB I-81 near NY St Rt 298. SB I-81 near Bear Street. A BGS on I-88 two miles from I-81. 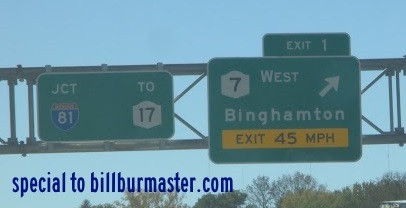 A BGS on I-88 one mile from I-81. 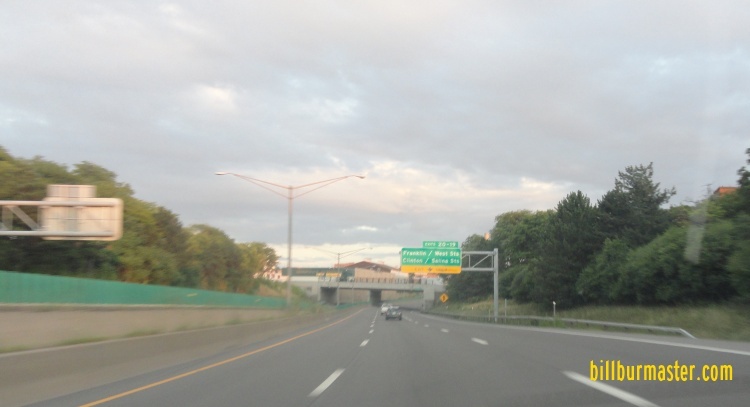 A BGS on I-88 at I-81.